Good morning and Happy New Year! I haven't participated in these memes in a few weeks. I hope you all had a wonderful holiday. Here's what I've been up to since my last update on December 17th! I also posted an interview with David Sakmyster and my 2012 recap/2013 plan. 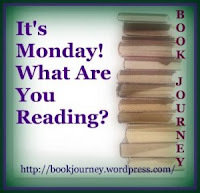 And for those who participated in my Non-Fiction Non-Memoir Reading Challenge in 2012, I've posted the recap for that. Since my last recap in December, I've only finished one book: Redemption on the River. That's it. I haven't been reading much in my time off, and I've been trying to get caught up with reviews and updates to my blog. 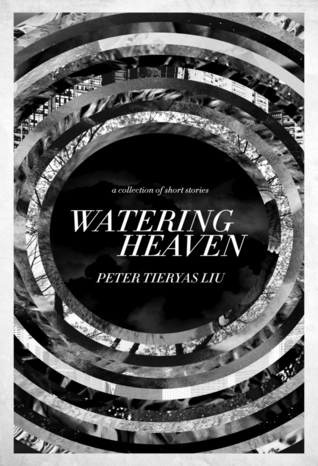 I'm now reading Watering Heaven by Peter Tieryas Liu. C finished the Percy Jackson and the Olympians series by Rick Riordan over the holiday break. Now he's finishing up The Lost Hero, the first book in the Heroes of Olympus series. He is really loving these series and has become very interested in Greek mythology. If you have any suggestions for books about Greek mythology, let me know! M and I have been reading more of the Rainbow Magic books. She's finally at the point where she can read the words in the books herself, but it's very challenging. So I've continued reading them to her. She just loves all the stories about the two girls, Kirsty and Rachel, helping the fairies with different adventures. 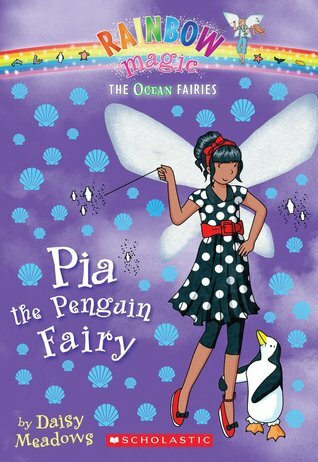 Each story has the girls and the fairies trying to find things before Jack Frost's goblins. They're all very cute little adventure stories. Once I finish Watering Heaven, I'll be starting Crossing the Rubicon by R.C. Richter. I can't seem to get my son interested in the Greek myths yet. Maybe one day... Thanks for linking up to The Children's Bookshelf. I kept trying to get C to read the Percy Jackson books and he had no interest - until I bought them (used) and put them on his shelf! I did not do well with the Non-Fiction Non-Memoir Reading Challenge. This year I am participating in just a few challenges. Have a great week. I didn't do as well as I had hoped either. Good luck with the challenges you're doing this year! I love your children's reading. My kids are all grown and the grandkids are too small yet. It's so much fun to watch their reading expand! Sounds like you have been as busy as I have! I'm so thrilled to hear your son is loving the Riordan books! He really finished that series pretty fast. My boys loved them both also and are still into Ancient Greek mythology - they have both taken the same Ancient Civilizations class in high school and have both proclaimed it their favorite class! I'll have to check out your year-end summaries - I still haven;t finished mine! He really did fly through that Percy Jackson series! I guess he likes it! Have a great week! There is also the National Mythology Exam which kids actually enjoy studying for and taking. It's just for fun really. My daughter took it for fun without prep. Hello Julie! Thank you for sharing this books! The cover is simple but looks great. I am an uncle of 12 nieces and nephews and I know this is the kind of book they will be interested in.We all enjoy reading and hopefully we can teach the other kids to the same. Happy New Year to you and your family! Author of "MOMMY I THINK I FLUSHED MY BROTHER DOWN THE TOILET"
Hey. I remember when my son read his first Percy Jackson. I couldn't get him to read it, but once I finally did, he LOVED it! He now reads them so fast, and bugs me about waiting for the next book every year. So, I had to find something to do so I looked around the Internet, and found this blog percyjacksonforlife.blogspot.com where someone talks all about Percy Jackson! After monitering it for a few days, I figuered it was something my son would like, and now he reads that blog every day! You should try it out!